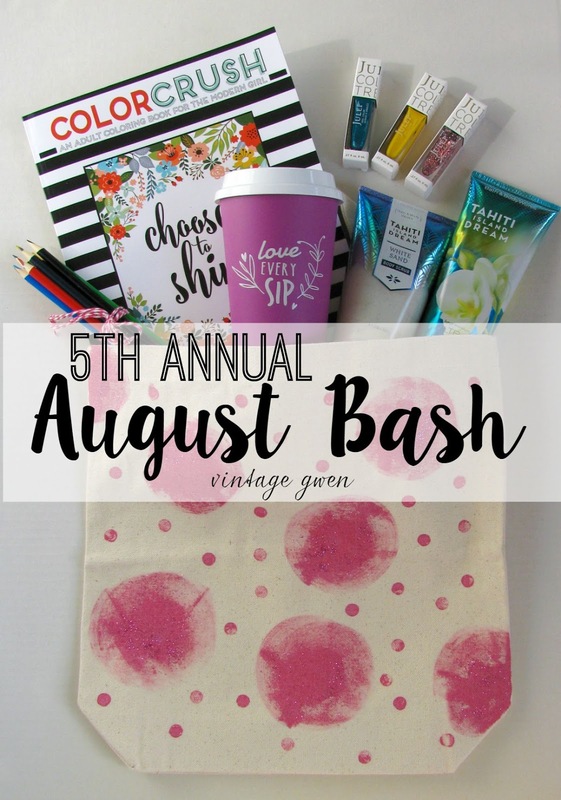 Vintage Gwen: 5th Annual August Bash Giveaway! August is my favorite month! And it's totally because it has my birthday in it! For a couple of years now (hello 5th!) I've crafted a Bash Bag and then filled it up with some of my favorite goodies! This year's bag is all about pink polka dots! 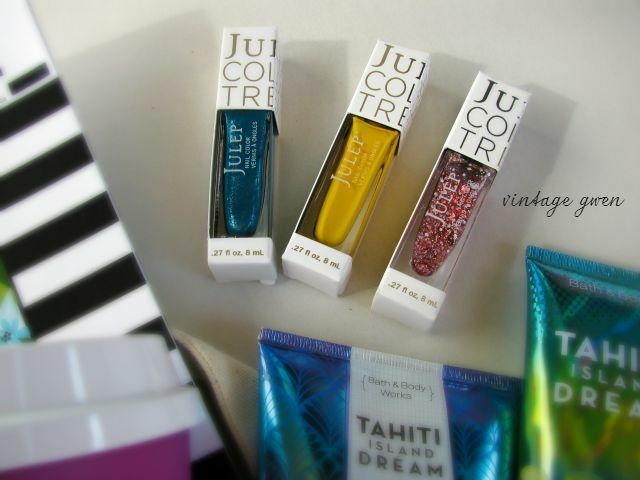 And this year's goodies are all perfect for some 'me time' now that I think about it! 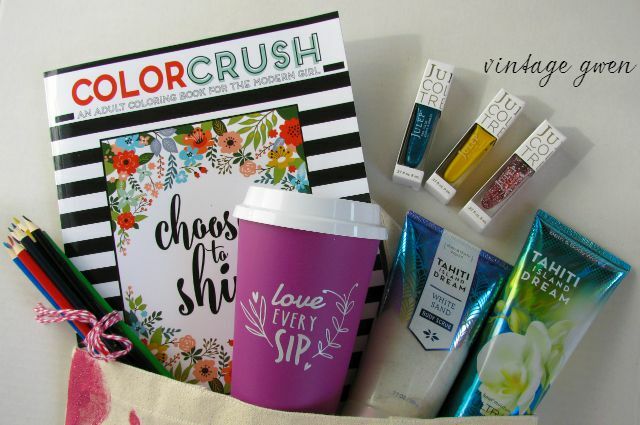 Fun stuff and because last Friday was my birthday I'm sharing all these goodies with you! Enter to win using Rafflecopter below! Good luck and Happy Monday! !